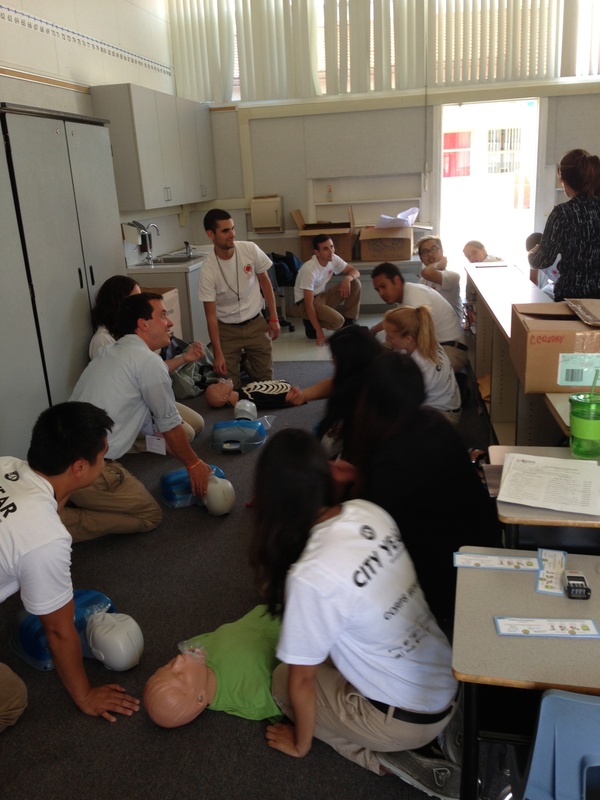 City Year San Jose/Silicon Valley is currently running the Carl and Leslee Guardino Summer Leadership Academy at Cesar Chavez Elementary School. The Guardino Summer Leadership Academy began on Monday, August 5th, and will run until Friday, August 16th. Students are receiving two weeks of tuition-free summer school instruction while our 74 new corps members are getting trained and putting their knowledge into action with over 250 students. Thank you to all of our wonderful partners who are enabling us to serve our students: Carl and Leslee Guardino, Schmahl Science, Revolution Foods, Alum Rock Union Elementary School District, the San Francisco 49ers Foundation, SunPower, Trimble Navigation, Silicon Valley Bank, Wells Fargo, the City of San Jose, SYNNEX, Infinera, KQED, and PG&E Corporation. This entry was posted in Carl and Leslee Guardino Summer Leadership Academy, City Year Culture, Corps Experience, Wordless Wednesday and tagged Carl and Leslee Guardino, Cesar Chavez Elementary School, Summer Leadership Academy by City Year San José/Silicon Valley. Bookmark the permalink.